And on the very last day of Christmas, Regina finally linked with Heidi and her great blogging idea by sharing a recipe that she made 5 times for those 12 days. Also, while you are at Heidi’s, follow her. She’s great. Confession: While I may not be the actual worst cook in the world of moms, I am certain that I burn the most things. While kids are sometimes the culprit, almost catching the house on fire is really more often a result of distractibility, forgetfulness, and a general state of scatterbrain. My (sorta) point is that it is not often that a dish I intend to bring to a party comes out of the oven in an edible condition, and due to my sub par cooking skills, it is even less likely that someone asks “could I have this recipe?” Unless of course, I make my tedious, yet mostly Regina proof, Eggplant Parm. Everybody is happy, until Josie helps and dumps the entire container of sea salt on it. Then, it tastes like the ocean. The discovery and evolution of this delicious dish is a result of dumb luck. Photography courtesy of my 4-year-old. I think the facial anxiety suffices the need to explain the dialogue of my interior thoughts. 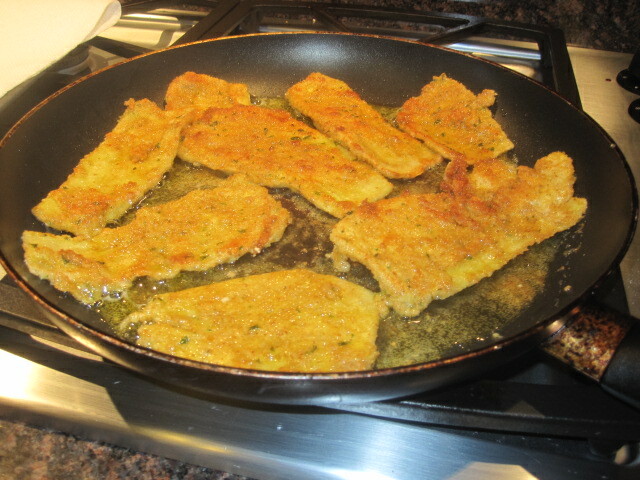 3) When all the eggplant is breaded up, place an uber generous amount of delicious Olive Oil in a big pan and heat. 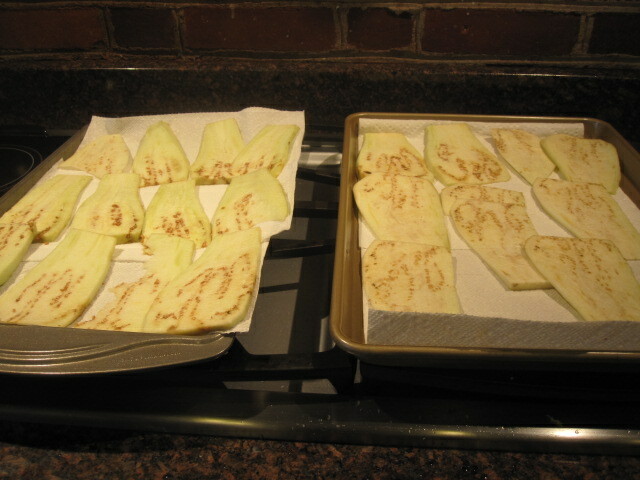 Fry each eggplant until golden brown on both sides. 4) Just like a lasagna! 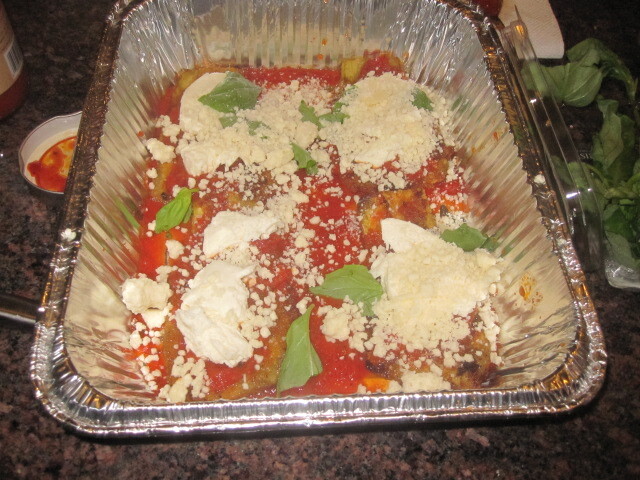 In a casserole dish add a layer of sauce, then eggplant, spoon more sauce, add a slice of mozzarella on each piece, sprinkle parmesan, sprinkle basil. Repeat until there are no more ingredients. 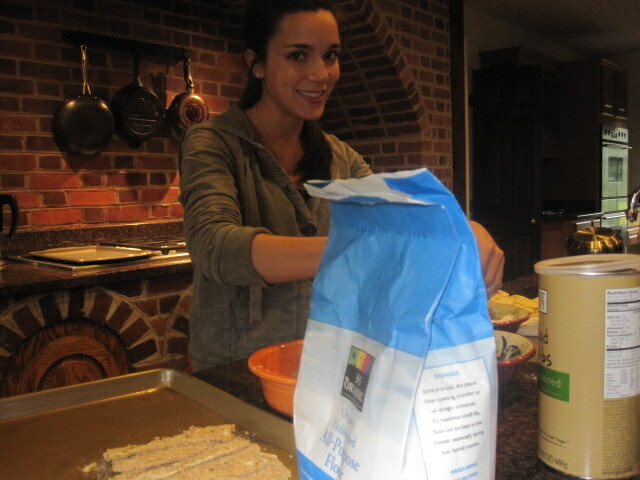 5) Put in the oven for no longer than 40 minutes. 6) Pour some Cabernet or Merlot and get at it. shyla, i was so embarrassed! people were so nice but i spit it out when i took a bite. i thought about demoting josie to “dishwasher” but i figured she would flood the house. we will stick to “imaginary stirrer” for as long as it works. This looks so great! Totally wishing I had eggplant at home right now. i hope you like it! 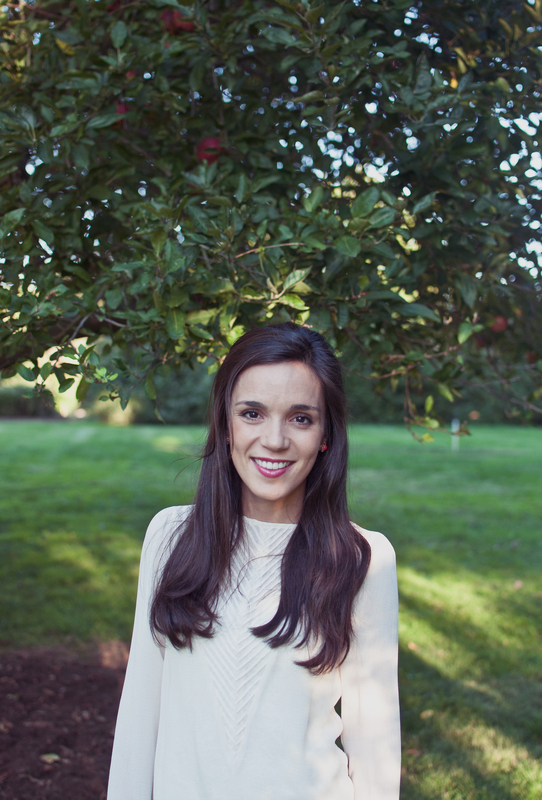 let me know if you have any questions and thank you so much for reading and commenting!! its my husband’s favorite so we make it a lot and its a GREAT freezer meal. i feel like i should send you one as my most consistent commenter. not sure if the mail man would appreciate the sauce. I am scared of eggplant but this makes it not so scary;) Looks delish! More recipes please!